Cleansing Your Skin Can Be Complex. But, it doesn't have be be a challenge.There are so many skin cleansing products on the market so which do you choose? Why isn't there one that works for all skin types? Even Sensitive skin? A cleanser that doesn't dry my skin out, or that really cleans my pores? Or even better, also has anti-aging properties and makes my skin soft? 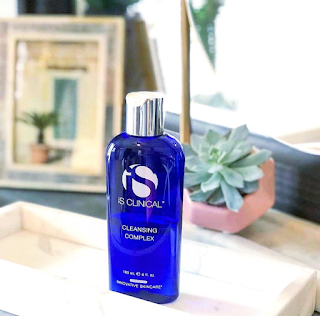 Well, the truth of the matter is that there are many, but very few that can compare to the iS Clinical Cleansing Complex. The iS Clinical Cleansing Complex is ALL of those things and more. This Cleanser is a lightweight gel cleanser that deep cleanses without drying the skin out. It's also a paraben-free cleanser that is anti-acneic and helps control acne breakouts while minimizing pore size. The Cleansing Complex is great for all skin types, especially those with rough skin texture or congested pores. It's also Dermatologist and Aesthetician recommended! Oh, and did I mention it's also great for shaving...so Men, yes you, can have all of those wonderful benefits as well and yet still feel Manly, cause that's important, right? Sounds Great, right? That's because it is! This cleanser is powered by the most innovative ingredients on the market.The addition of advanced technologies in iS Clincals formulas represent a top-notch full line of skincare that is easily integrated into any regime. The healthy skin payoff is guaranteed to promote healthier, hydrated, smoother more glowing skin. I, for one am a die-hard is Clinical fan for many reasons. (see my previous iS Clinical blog - iS Clinical Active Serum - The Genie In The Bottle). Their products have changed my skin dramatically. My skin looks and feels better and younger by far. Always a bonus! Using iS Clinical products was the best skincare decision I ever made, and I have never been disappointed. iS Clinical has a full line of skincare products for every skin concern. All of their products are highly concentrated and extremely effective. A little bit of product goes a very long way! That's just one of many reasons that beautystoredepot is very proud to carry the full line of iS Clinical products. So, cleansing your skin can definitely be "complex" - Cleansing Complex. Skin cleansing made easy and effective. You will not be disappointed. As always, if you have any questions, or would like expert skin care advice please contact our amazing customer service team toll free at 1-800-926-5219 or our live chat feature Monday thru Friday 8am-5pm CST. Also, keep a lookout for the iS Clinical Holiday Kits! These Holiday Kits make fabulous gifts and are a great way to try a few products at an exclusive cost. Coming soon on www.beautystoredepot.com ! Have a Beautiful Safe Day, Friends! It's officially Fall y'all! 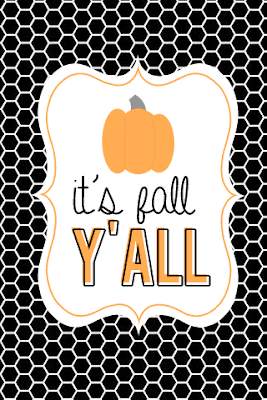 It took a awhile to actually feel like Fall here in Texas, but it finally does and it has me longing for a few of my favorite Pumpkin products. I was first introduced to these products several years ago while working on one of our Holiday promos. All of these products are amazing and a perfect way to prep your skin for the upcoming Winter months and any holiday gatherings or party you may be attending. WARNING!!! This next product may possibly make you eat your entire house of sweets! Seriously....every time I use it I end up baking something. glo Skin Beauty Pumpkin Enzyme Scrub is a fantastic way to refresh your skin! It's a soft and effective exfoliant that can be used up to five times per week. The smell is divine and the results are amazing. One of my favorite all time scrubs and always gets me into the Fall frame of mind. Sircuit Skin Youth Accelerator+ Pumpkin Enzyme Peel is an amazing product and fantastic for anti-aging, problematic, and hyperpigmented skin. You can use this product once a week, but be careful to not use it in conjunction with any other scrubs or peels. The results were noticeable even after the first use for me! The container lasts for several uses which is an added bonus. I LOVE the way my skin feels after using this product. Elaine Gregg Soft Papaya and Pumpkin Mask is another amazing mask that will help retexturize, soften, and smooth your skin. You can use this product up to two times a week and don't forget to also apply it to your neck! The price point on this amazing product is another customer fave! If you haven't checked out the Elaine Gregg line, you're seriously missing out! Honestly, you can't go wrong with ANY of these amazing Pumpkin products. It's a great way to get your skin prepped for the upcoming colder/dry months and get into the Fall spirit. You simply can't loose! Remember, as always, if you have any questions or concerns do not hesitate to contact our amazing customer service team toll free at: 1-800-926-5219. Experiencing flaking around the nose and inner cheek area? 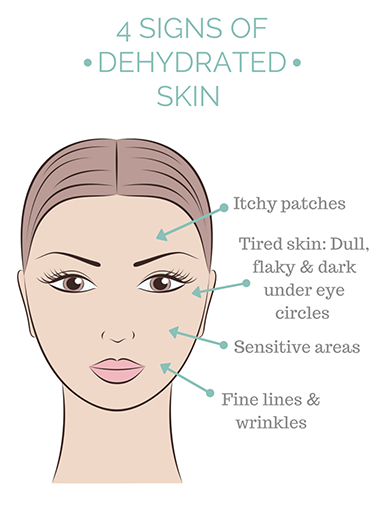 Is your skin a bit duller than usual? Are you seeing accelerated signs of aging? If you said yes to one or all of these, your skin may be experiencing dehydration. Climate change, lifestyle, sun exposure, age and even the incorrect skin care can all be contributing factors to dehydrated skin. Luckily, dehydration is a condition that can be corrected with an increase in water consumption as well as the induction of the proper skin care into your routine. The beautystoredepot consultants are here to give you a guideline to restoring supple, radiant skin. Even though you may drink the recommended amount of water you are suggested to drink daily, the skin is going to be the last organ that will reap any benefit from your consumption. All your other organs will absorb the water first and, though the skin is the largest organ the body has, it is the last to ‘drink-up’ any water you ingest. Avene considered this when they chose to utilize their natural resource. 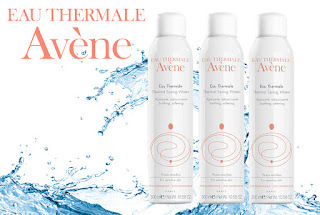 Avene’s Thermal Spring Water as a biologically pure, naturally occurring hydrating mist for the surface of the skin. Originating as pure rain mixed with sea-spray rich in mineral salts, the spring water makes its 50-year journey through the Cévennes Mountains in Avène, France. The water comes in a easy to spray bottle and is a wonderful topical option to give your skin the glass of water it needs. In a large or small size, you spritz your Thermal Water anywhere. Have your large bottle on your bathroom counter and your small one your purse for easy application wherever your day takes you! There are some skin care products that don’t only provide your traditional resource of hydration such as water. We here at beautystoredepot have many products that are high in hyaluronic acid and squalane which are two primary ingredients in re-hydrating and balancing skin’s hydration levels. Both assist in correcting and boosting hydration. Although some of the products we use help boost collagen and elastin or even reverse sun damage such as Vitamin Cs and Retinols can reveal younger skin it can also cause our skin to become sensitive over time incurring dehydration. Overexposure to Retinols, vitamin C, salicylic acid, benzoyl peroxide, non-waxy alcohols or even peppermint in skin care exacerbates symptoms of dehydration such as increased oiliness with flaking around the lips and nose areas, dulling skin tone and patchy dryness. A great way to keep balanced is by using the more caustic serums in the evening (also preferable because your cellular renewal rate is accelerated while sleeping allowing Retinols and vitamin C products to absorb and increase efficacy) and use your re-hydrating serums and creams during the day or even integrate a nice treatment mask once or twice a week. A great hyaluronic acid treatment masque option is Dermalogica’s Skin Hydrating Masque. This masque contains a unique cross-linked Hyaluronic Acid that traps moisture to deliver time-released hydration for lasting suppleness while helping stimulate skin's Natural Moisturizing Factor while lycopene-rich Tomato Seed lipids restore skin's protective barrier, enhancing moisture levels for healthier, smoother skin. You’ll be able to see a visible difference in suppleness as well as the skin will instantly appears more radiant. A serum option that may be a new favorite of yours is Rx Systems HA Serum! A little bit of this serum goes a long way and feels refreshing on the stressed, dehydrated skin. After use for just two weeks you’ll notice a long-term difference in the skin’s texture. If you’re in search for an entire line dedicated to getting your skin balanced and hydrated look no further than G.M. Collin’s Hydramucine line for dehydrated skin conditions. They have everything from Hydramucine Optimal Serum to a Gel to a more emulsive, lipid-replenishing Cream to address either dehydration with oilinesss associated OR drier, chapped skin that just needs a boost in hyaluronic acid. G.M. 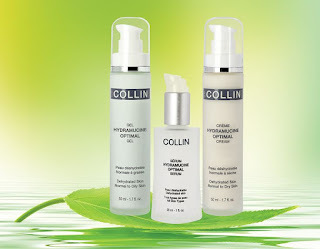 Collin Hydramucine Skin Care Regimen will have your skin ready and raring to go in tip-top shape. For additional information or tips and tricks to assist you in your effort to correct unbalanced skin, please defer to our exceptional customer service team via email, web chat or by calling 1-800-926-5219. We look forward to hearing from all of you! Have a fabulous fall and as always thank you for shopping with beautystoredepot.